Ruth Suckow Memorial Society: Who is Ruth Suckow? 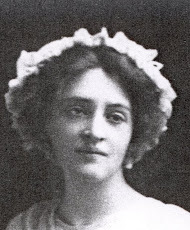 Ruth Suckow was a writer with Iowa roots who wrote a series of short stories and novels from the 1920s to 1960. She was a minister’s daughter and well educated, attending Grinnell college. However, she also supported herself by keeping bees and selling honey. She was recognized by such famous American writers as H. L. Mencken. Her stories capture the everyday life of midwesterners, especially farm families, and feature strong female characters. 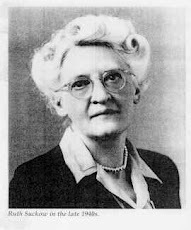 Suckow was born in 1892 and died in 1960; she is buried in Greenwood Cemetery in Cedar Falls, Iowa. Several of her novels were reissued after her death (Country People and Iowa Interiors) in a series called Rediscovered Fiction by American Women. She was inducted into the Iowa Women's Hall of Fame in 1978.